This is my first post as a newbie Base user and am on a steep learning curve, so Pls feel free to advise if I am not following form in this forum. I would like the "Expiry Date" field to be automatically populated with a date 6 months into the future based on the "Registration Date" field when the "Registration Date" field becomes populated. Having searched through the forum I found the function DATEADD and have played around with it to try and create the table. I cant get it accept the line. Either the code is meant for Form input or I am not compiling it correctly. In fact in my search I have realised that the ADD_MONTHS function would probably be a more suitable function, I cant get that to work either. Would appreciate a pointer or two how to construct the code for use in my table...... thanks. Last edited by RobboSC on Tue Aug 20, 2013 11:01 am, edited 1 time in total. You do not store any formulas in tables. A table stores raw data. A query queries sub-sets of the stored data plus calculated fields. SELECT *, DATEADD( 'mm', 6, "Registration Date") AS "Expiry Date" FROM "Registrations"
queries everything plus the calculated expiry date from the "Registration" table. P.S. DATEADD is not part of the built-in HSQLDB 1.8 shipped with this office suite. You need to connect your database document to HSQLDB 2.x or some other database engine having that function. I would like to agree with the post by Villeroy above, completely, concerning NOT storing 'calculated' values in a database. DATEADD( 'mm', 6, "Registration Date") AS "Expiry Date"
Another 'technique' that could be used, with a database back-end, such as, HSQL 2.2.8, HSQL 2.3.0, other ( but, NOT HSQL 1.8.0.10 - embedded database with OpenOffice 3.4.1 and prior ), is, by defining a CREATE TRIGGER to populate such a field. Thanks for the feedback and the clarifications guys. 1. Can I download the latest HSQL version and seamlessly (not have to go through a complicated process) get it to work with base? Just want to say thanks for the prompt response, appreciate it. 0) Make a backup of your database. 2) Open your .odb with a zip tool and extract the database directory. 3) Rename the extracted files script, properties, data to db.script, db.properties, db.data (db is just an arbitrary name prefix for the extracted files). 4) Download http://sourceforge.net/projects/hsqldb/files/hsqldb/hsqldb_2_2/hsqldb-2.2.8.zip/download (NOT the current 2.2.9!). This requires no installation. Just extract it somewhere. Basically, all you need is the contained lib/hsqldb.jar and the documentation. Close the tool, save the document and give a try. Now you have the full featured database backend separated from your Base document. You may move the backend on a server for multi-user access (requires more tweaking). Last edited by Villeroy on Sat Jul 13, 2013 5:03 pm, edited 2 times in total. Hi Villeroy, thanks for the instructions and the files. I got as far as trying to install your extension as in line 5. but it could not associate the .xba file with any application. I am assuming FreeHSQLDB.xba is the file to click. As a matter of interest - I am assuming that when you say that the "full featured database backend will be separated from the base document" will this be the case for any other new database I create or must I run it anew for each instance ? OK after a bit of familiarising myself with the Base GUI I found the add extension button under Tools. Will try and run this on Monday and see what happens !! You must not extract the zip archive. You can rename the .zip to .oxt (which is not allowed on this server) or you can call Tools>Extensions... from the office menu. I followed the instructions as given, but was thrown a bit by the fact that as per instruction line 3 I had an extra file called backup, which i renamed however. Everything was completed otherwise as listed. I was able to open the database, but the tables were not editable as far as changing structure properties. Data I could edit. 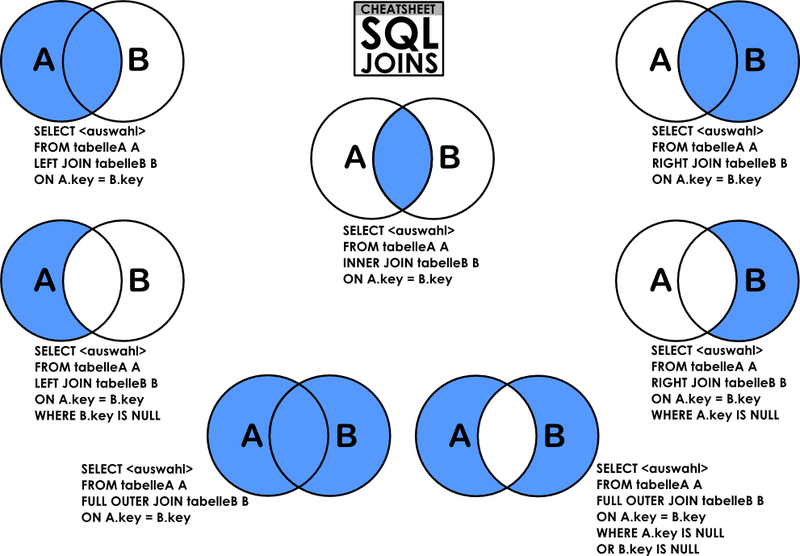 I ran a table drop and table add for my registrations table and the sql reports came back as successful. However when I tried to reopen the database it had crashed with an error message "The connection to the data source "XXXXXXXXXx-Copy" could not be established. Error in script file line 64 java.lang.OutOfMemoryError:Java heap space - Anybody got any ideas here on what may be the issue or maybe something I am doing wrong ? Could you post your .script file? or -Xmx256m, or -Xmx512m, or -Xmx1024m, and so on in terms of megabytes (where 'm' = MB). Perhaps a rule-of-thumb would be 1MB of RAM for every 1,000 records possible in a query result-set plus a 25% overhead. For instance, the default 64MB should handle 50,000 records averaging 1KB each. Or to support 100,000 records, adjust the memory allocation to 128MB ...and so on. The use of 'outer-joins' will further multiply the size of a result-set, so careful memory considerations may be necessary. If this scheme would exceed your available RAM, then consider 'disk-based result sets' at the expense of performance on-the-margin. Last edited by DACM on Sun Aug 25, 2013 10:29 pm, edited 1 time in total. HI DACM thanks for the further advice. 3. When I go into the database file to change the names of the files, the script file and the properties file default to just db and then have an association with windows notepad. I then go back in and change the name to db.script etc ( this happens because i tried to view the files after the corruptions on my trial runs) not sure if this has an impact!! I would like to get back to stage 1 of the original problem, which I suspect will be the case after this error can be sorted. Have attached the script file for the latest issue. I have noted your means for increasing memory, would prefer to implement this once back to the original error message. CREATE VIEW "vwProNameNum" ("ProNameNum","Pro ID") AS SELECT "First Name" || ' ' || "Surname" || ' Tel: ' || "Mobile" AS "ProNameNum", "Pro ID" FROM "Pros"
CREATE VIEW "vwPackDescr" ("PackDescr","Package ID") AS SELECT "Units" || ' by ' || "Description" || ' with ' || "Pax" || 'pax' AS "PackDescr", "Package ID" FROM "Packages"
Make sure all file extensions are shown by Windows. Then clean up the database folder, leaving only the original db.script, db.properties, db.data and db.backup files. Your .properties file indicates that you're using HSQLDB 2.2.8, so you'll eventually want to eliminate the LOGVARBINARY field and replace it with BLOB data-type. If you need to extract the image file before deleting the LONGVARBINARY column, then see the macros at the "Image files" link in a previous post above. I deleted the photo by deleting the record, then I cleaned out all the old files, and copied back in the latest version of my base file. When I extracted the database directory I noticed the following error reported (screenprint attached) . I can tell you now that when I checked the config accelerator file it showed 0KB. I stopped at this juncture coz I want to know if it needs sorting out or if I can ignore and proceed. Also want to thank you guys for hanging in there with your help, for me personally not at all frustrated with the process and grateful for the support- its an interesting learning curve. Even though I am forging ahead with designing my database on the old embedded version, it is proving to be a rewarding experience and I already have something I can use- however I do eventually want to have this ADD MONTH feature. Have done it now and can access the database through base. However all the Tables are read only in regard to changing the table structure, not in regard to the data. Is there a method of amending this? IMPORTANT: While this template attempts to overcome some glaring deficiencies with Base, it scarcely addresses the holes in the Base GUI with respect to DDL tasks (database schema development) when connected to external databases through standard ODBC/JDBC drivers. Specifically, when connected to HSQLDB through its native JDBC driver, the Base GUI does not fully support modification of table-field attributes such as setting-up an Auto-Value primary key or Default field values. In fact, these and other field attributes appear frozen in the Base GUI after initial creation. OK great, thanks for that, will study it before implementing. I decided to finish developing my databse before tackling this issue, hence the delay. I read about the trick for unfreezing the field properties for editing. Unfortunately they appeared not to workfor me. I copied and pasted a table, saved it, refreshed and was not able to edit anything. I tried copying a column in one of the tables and was able to do so, I was able to edit it as well, however after saving exiting , and saving I returned to find my self locked out even on the copied column. Any ideas on taking it further ? RobboSC wrote: ...the trick for unfreezing the field properties...they appeared not to work for me. I copied and pasted a table, saved it, refreshed and was not able to edit anything. You may need to enable the Table Copy 'wizard' so you can step through the wizard while adjusting each column and its associated property upon pasting the new table. This all occurs before saving or refreshing the tables. RobboSC wrote: ...and [after] saving I returned to find myself locked out even on the copied column. Any ideas on taking it further ? There's no way to unfreeze the column properties permanently when using a split database configuration. Hence the GUI workaround. But you shouldn't need to alter the columns very often as the table design phase of the project ends. Thanks for the response, only saw it a few days ago. Have taken note of the restriction and can confirm that I can adjust field properties through teh wizard. I note also that I can change properties on any table when going through direct HSQL input. However have only tested this in a limited way. I have upgraded to Open Office 3.4 and was disappointed to see no development done on base, but after reflection and reading a few articles on this I can understand that noone wants to waste time developing a concept that is broken from the start. All said and done, I still am happy to use base and HSQL even in a broken split environment, as a free product it is still very useful and effective. There might be another, and, perhaps, easier technique, than using a TRIGGER to accomplish your task, while using the database back-end ( HSQL ). But, before I give you the technique, please confirm answers to the following questions, so, I will know, and, be able to tell you exactly how to do it. What version of HSQL ( database backend ) are you using . . . for example . . . HSQL 2.2.8, or, HSQL 2.3.0 ? What is the name of the TABLE the NEW FIELD will be added . . . please answer that question with the name surrounded by double quotes . . . for example: "Registrations"
What is the name of the EXISTING field, ( column ) you want to add to your database . . . that is 6 months in the future . . . please answer that question with the name surrounded by double quotes . . . for example: "Registration Date" ? What is the name of the NEW field, ( column ) you want to add to your database . . . that is 6 months in the future . . . please answer that question with the name surrounded by double quotes . . . for example: "Expiry Date" ? Also, most important, tell me if this field already exists in your table. Please tell me . . . where in the table . . . you want the new field to be added . . . that is . . . as the LAST field ( column ) in the table, OR, if not as the last field, give the name of the field . . . surrounded by double quotes . . . of the field that will be AFTER the NEW field . . . for example . . . "Field After Expiry"
1. None of my databases are in operation yet, but I am expecting to phase them in on the 1st Sept.
3. I have a split database for experiment and trial purposes, this uses HSQL 2.2.8, however I would be happy to scrap that and attempt to split my latest developed version I have now. QUESTION: Would you recommend I use 2.3.0 ? and is the process of splitting exactly the same as per 2.2.8 ? 6. I believe that the table above gives answers to all the questions you have asked, if I have missed anything please advise. 7. From your post it appears that the order of the field is important, if it were better for the field “Sale Value” to appear after the “Expiry Date” field ( it now being the last field in the table) and or for the "Expiry Date" to be the last, is there a method for doing this without making the table anew and manipulating constraint and view connections? I look forward to hearing your advice and your new simpler method, thanks a bunch for the proactive support! The following command, if issued from the OpenOffice Base Menu: Tools -> SQL..., AND, can be used with HSQL Version 2.2.8, or, HSQL Version 2.3.0 ( but NOT HSQL 1.8.0.10, that is, the 'Embedded HSQL' version . . . at least of the date I am writing this ). NOTE: As always, if it were me, I would always make a back-up of the database files ( *.backup, *.data, *.properties, *.script ) and the OpenOffice Base file ( *.odb ) before making any changes to the database and/or Base file . . . to be safe. This will create a NEW field in your database . . . by the name of . . . "Expiry Date 6" . . . and . . . the database back-end ( database engine . . . HSQL ) will automatically, calculate a date for that field . . . some 6 months AFTER the value stored in column "Registration Date" . In the event you UPDATE ( change ) the value of "Registration Date" after adding it to the table "Registrations" . . . the value will also be changed. I elected to put the new field ( "Expiry Date 6" ), BEFORE field "Package ID", because of your CREATE statement . . . BUT . . . of course, you can change this as you so desire. I do NOT know, if you have any VIEWs defined, that might effect the dropping of column "Expiry Date" before you RENAME "Expiry Date 6" back to "Expiry Date". Thanks to add [Solved] in your 1st post Subject (edit button top right) if this issue has ben resolved. Any way I am very happy with the result and want to say thanks to all who contributed and the constructive support.